Things can go pretty bad at a football club and still get turned around. Countless times over the years we’ve seen managers or players reach the very brink and then turn things around. We’d like to think that that might be about to happen with Chelsea, but we seriously doubt it. In fact, stories like those in SportWitness today make the situation look as gloomy as ever. One cast iron sign that things are going south at a club is when the players start leaking their dissatisfaction to the press, and that appears to be happening now. 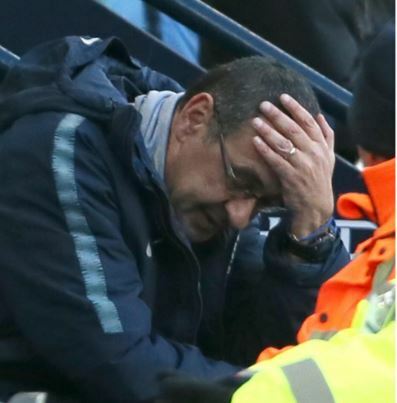 SportWitness’ source is AS in Spain, who claim that the big names in the dressing room at the Bridge have decided they want Maurizio Sarri out, and have begun leaking their unhappiness in order to increase the pressure on the former Napoli coach. There’s a chance things can turn round from here, but in all honesty we’ve likely reached the point of no return.